← Should I Spend Donuts on the Fireworks Factory? 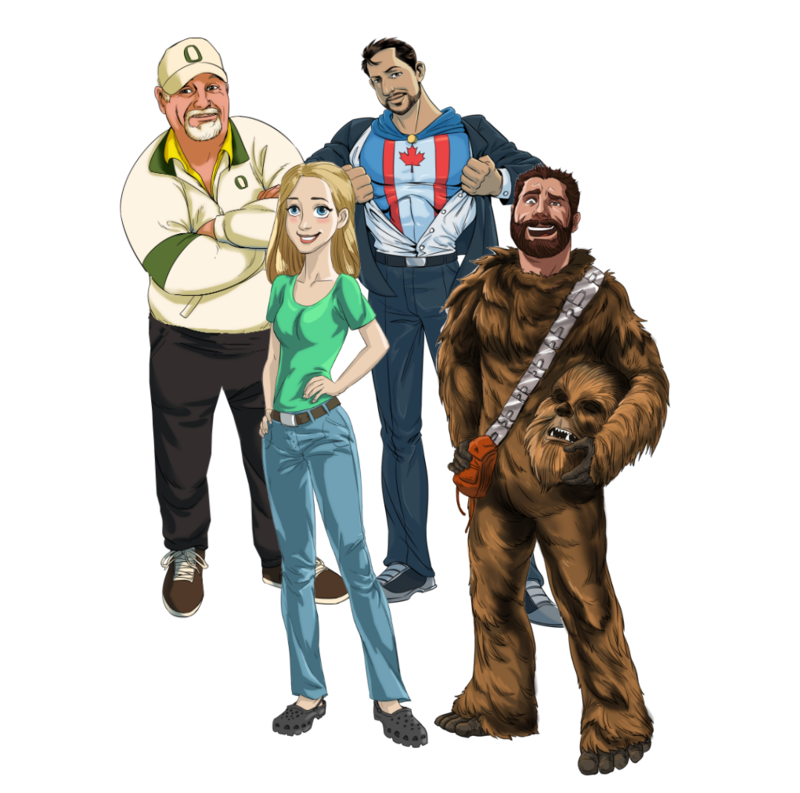 Well, we’re nearing our 5th anniversary of TSTOAddicts (August 14th)…if you can believe that! FIVE years of this site…wowsers! And now it’s time for one of our favorite blogiversary traditions, our annual Addicts Q&A! Over the last 5 years of blogging we’ve provided A LOT of information for the game itself, but not too much about us (although with 4 previous years of doing these Q&As, I think we’ve filled in quite a few blanks). We’re always asking you guys about your thoughts on the game, and more about your lives…and now is YOUR chance to return the favor! Feel free to post your questions here in the comments or email them to us (TSTOAddictsblog@gmail.com). We will then go through and answer as many questions as we can. 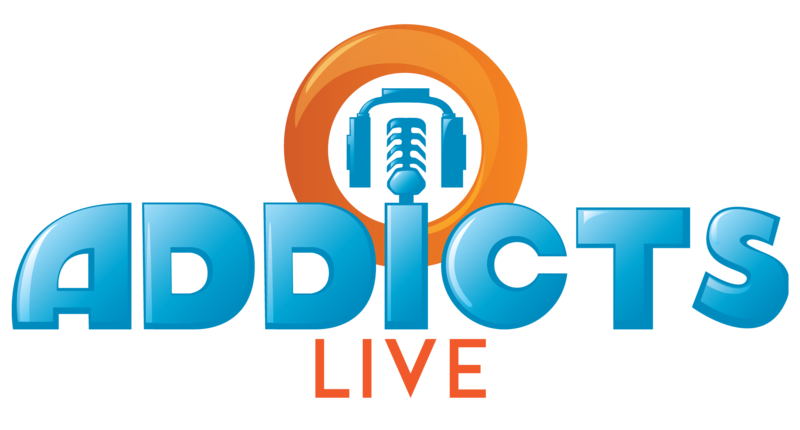 As of right now, our plan is to have the full Addicts staff (Wookiee, Patric, Safi and myself) sit down one night and record a very special Addicts Live…prior to the newest tiny addict making their arrival. Hopefully, our schedules all work out and we can make it happen so y’all can see all of our lovely smiling faces. However, we do ask that you try to get your questions in by 8pm ET on July 31st. So ask away and learn even more about the Addicts! This entry was posted in Tapped Out and tagged About TSTO Addicts, Addicts Blogiversary, The Simpsons Tapped Out, TSTO Addicts. Bookmark the permalink. What is the percentage of comments that you have to remove in moderation? One thing that makes this community so great is how supportive it is. I imagine that when the trolls don’t see their comments being posted here they move on to the next blog. When is Wookie going to come back and be a regular contributor again? We miss him! I found Wookie’s post on 1/23/2105 called “HEY EA!!! Here’s some more of what the Addicts Want.” It’s amazing how much has come true, although just as amazing as to how much hasn’t. It gives me hope for a longer run of the game.What do you all think about this? There are so many characters I think the game will go on as long as the show does. From what I could find online, as of last year there were between 3,600-3,700 individual character wiki pages. Even subtracting the famous people who have “appeared” on the show (because EA might not be able to secure the rights to put them in the game) there are still thousands of characters that aren’t in the game and EA could do new events that include those characters. Alissa: why is it that when on addicts live instead of it saying your name it says tstoaddicts? Do you regret signing NDAs with the EA? Favorite Theme Park(s) to visit? Anyone play The Simpson’s Slot Machine yet? 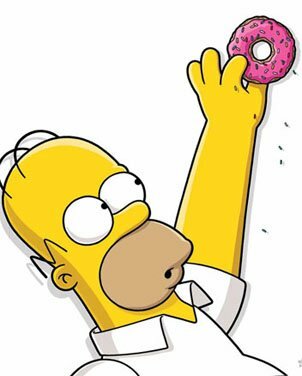 I see a lot of mentioning about farming for donuts. How do you do that. I’ve been playing for five years and bought almost every donut item and placed it.. No problem with item limits placed. You can farm for donuts by earning XP and leveling up. Presumably you are at a high level, have lots of game cash, and are using the XP multiplier. Different decorations and buildings yield different XP, my favorite is the rat trap truck. With the multiplier I can 41 donuts for every 12 trucks that I buy. Then I turn around and sell them, at a loss, but that hardly matters. Only $10,000,000 because I’m still having Cecil Twerligger buy city crap. What keeps you guys going… like after the last event I was swarmed with bugs that still plague my game and even with out the bugs the event completely killed off my enjoyment of it( mostly the third event). Luckily we have a good mini event where I can wind back… just curious how you guys stay through all of it? They say you can tell a lot about a person by the music s/he listens to … OK, it’s me who says that (I can’t speak for anyone else). Anyway, as I’ve yet to see any Sunday Random Playlists from any of you, I’d like to know what sort of music you like. If I had to guess I’d say Alissa the (soon-to-be-again) mom probably gets down to the Mothers (of Invention); Star Wars obsessive Wookie would be into the psychedelic noodlings of Astronomy Domine-era Pink Floyd (and maybe some Ziggy Stardust-era Bowie); Safi’s a Canadian and a whiz with numbers and calculations and stuff so obviously he’d be into math rock like Toronto’s The Bulletproof Tiger; and Patric loves his golf so he must enjoy swing … am I close? What mobile games do you play besides TSTO? How do I actually unlock sideshow Bob? Alissa – What’s your shoe size? Love the new ‘photo’ of you and Riley! Are you guys friends outside the blog? Q: do you think the game is more fun or less fun now or better at the beginning. Q: do you play the game more now or more at the begging. What happened to the TSTO app? How did each of you became involved as a writer on Addicts? What are your careers outside of Addicts? Patric, you said you’re approaching retirement so I was wondering what was your most memorable project? Your on line description of the creation of the Claymation Christmas is fascinating, but I’ll bet there’s some other fascinating stories to tell. BTW, I really liked the Claymation Christmas when it came out. It was different than the usual children’s Christmas specials. I’ve only been playing & frequenting this site for a bit over a year, so I’m sure this has been covered, but I was wondering what your top 5 episodes of the show are? Since we just finished an amusement park event, how about a question on that. What’s your favorite amusement park, and what’s one of your favorite rides? My honeymoon was cedar point in Ohio def an amazing park. Actually been on my mind for a while. With a name like Wookie… Starting with the OG, 1977 Star Wars movie and all the sequels, prequels untill the Han Solo movie this year. What are your top 2 favorite and your 2 least favorite Of all time? Might be a painful choice or maybe not. 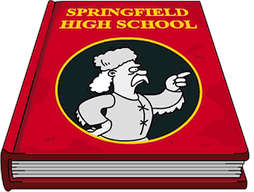 Describe your perfect Simpson’s episode if you could write and cast it any way you want. Wont be answering this one, we’ve answered it a million times over and prefer to let this chapter stay closed. She’s no longer a part of the site and she’s stepped away from blogging completely. Ah ok I’m sorry, I understand. I’ve never seen it come up. But I was just curious because I was looking back at the year 1-4 posts. It is understandable. No worries. Good to get it out of the way early…as it seems to always come up. LOL… it’s been two years or more. Bunny is now entering the pantheon of Judge Crater, Jimmy Hoffa, and the Loch Ness Monster. She is mostly missed, because she simply vanished. I am interested in hobby of each of you guys. What is your favourite creative pass time? What is something that you could be making money off of it, if you didn’t have your current job? Thanks! Well…for me, it is an interesting question, because it is a bit serpentine as it works out. Music has always been a hobby, a passion, and at several times has been my primary source of income. However, now that I am ready to go into semi-retirement and have more time, music (playing, recording, etc.) is coming back…but just for fun. I could make money…but prefer to do it for fun. Golf and family are my other “hobbies,” but I have never won more than a handfuls of quarters with one, and the other has cost me more than I care to calculate, while providing the greatest joy and satisfaction. We see loads of movies…binge-watch loads of tv…and still have a great, full active life together after more than 38 years. TSTO is clearly more of a job, than a pleasure at this point. Patric don’t make the same mistake as last year. Wait to answer questions until the video. Have a handicap ( golf question lol) What brand of clubs including driver? The story of the fellow married as long as you gave his wife 3 dozen rose on their anniversary. “One for every good year of marriage. 36 out 38 isn’t bad.” He joked. Wife took the roses and tossed 5 into the garbage. My wife has that sort of humor – hope yours does as well. How much time per week do each of you all devote to this blog? Not including the time spent playing the game, as I assume you would do that anyway, but time spent figuring things out for us on how to play each event, as well as writing it up, answering (& re-answering) questions, making graphs, finding obscure references, etc. Ebbs and flows with the updates…but at least 8-15 hours a week between writing, researching and moderating comments. Probably 1/4 of the time Alissa puts in…or less.